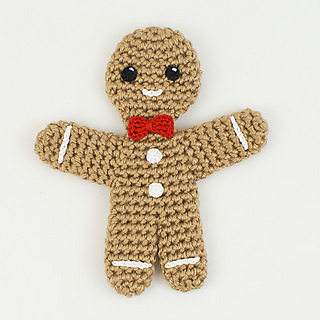 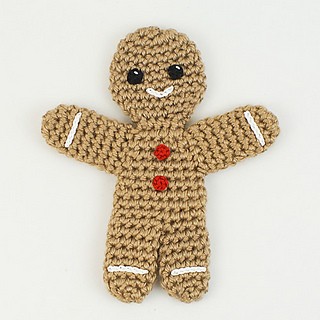 An original amigurumi gingerbread man crochet pattern by June Gilbank. 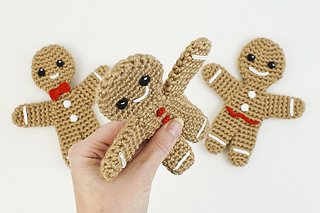 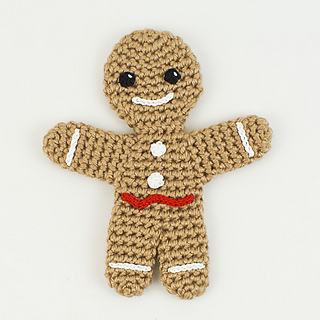 Chunky and flat, just like the edible version, Gingerbread Man is crocheted amigurumi-style (in a continuous spiral) from only 35m (40 yds) of yarn and has only 4 pieces, so the pattern works up quickly with minimal finishing! 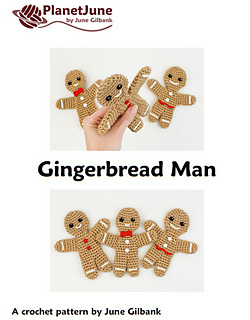 Additional info: All the embellishment options pictured here are included in the pattern, but Gingerbread Man is the perfect blank canvas for you to decorate however you want - just like the edible kind! 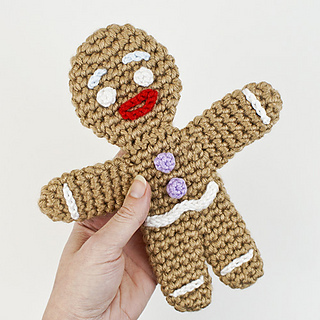 You can create all sorts of expressions and accessories, personalise them to match your family members, and match the embellishment colours to your seasonal decor. 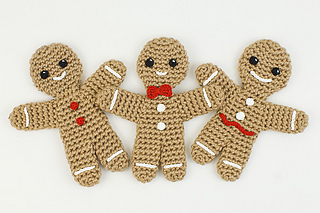 Or keep the decorations as simple and fast as you want - it’s completely up to you.